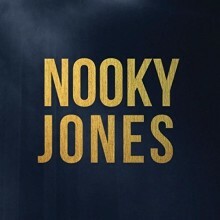 Minneapolis-based band Nooky Jones have been lighting up their local jazz scene for over three years with a distinctive fusion of soul, jazz and hip hop, but the recent release of their self-titled album allows for dissemination of their unique musical styling to all. Helping to bridge the gap between these diverse vibes is lead singer Cameron Kinghorn, a former Mormonite-turned-student from the University of Minnesota. It was during his schooling, Kinghorn claims, that his eyes were opened to an entirely different world; one where he met and befriended a diverse mix of people from varied ethnic and religious backgrounds. These formative years led to his subsequent dealings with drummer Reid Kennedy and trumpet player Adam Meckler, both U of M alums. Freshly penned songs in hand, the trio quickly teamed with bassist Andrew Foreman, keyboardist Kevin Gastonguay and trombonist Ryan Christianson to begin recording. Produced over a course of 15 months at RiverRock Studios and The Hideaway in Northeast Minneapolis, Nooky Jones relies on each musician’s unique style as a critical part of the overall sound. Atop airtight yet comfortably loose drum and bass grooves often reminiscent of ‘90s R&B and hip hop, layers of harmonically complex piano, organ, and Fender Rhodes create a lushness associated with jazz that rarely integrates so tastefully into pop music. Each track is a delight to the ears, as the merging of each musician’s talents hits the ultimate apex when combined with Kinghorn’s sultry vocals. “After One” opens the album softly with steady beats and chords, gradually simmering in vocals and brass to a slow boil, while the later “Sweet Wine” gently punches with an immediate release of Kinghorn’s talents. A heartfelt message intermixed with wholehearted instrumentals dominates “The Way I See You,” while “Someone Who” features a silky smooth falsetto on par with the best soul crooners in the business. 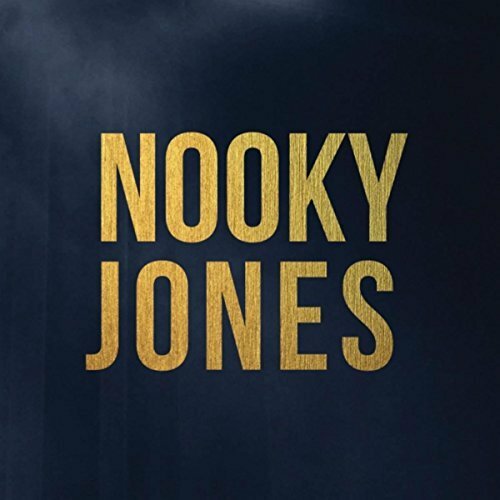 Hands down, Nooky Jones delivers, reminding us all exactly what we are looking for in life and in jazz—someone who passionately and steadily offers the very best of all they have to give. This entry was posted in Blues, Jazz, Rhythm & Blues, Soul, Funk and tagged 2017 album, 2017 releases, Adam Meckler, Amy Aiyegbusi, Andrew Foreman, Cameron Kinghorn, CD review, Jazz, Kevin Gastonguay, Minneapolis, Nooky Jones, R&B, Rap and Hip-Hop, Reid Kennedy, Ryan Christianson, Soul, University of Minnesota, Young and Foolish Records by aaamc. Bookmark the permalink.